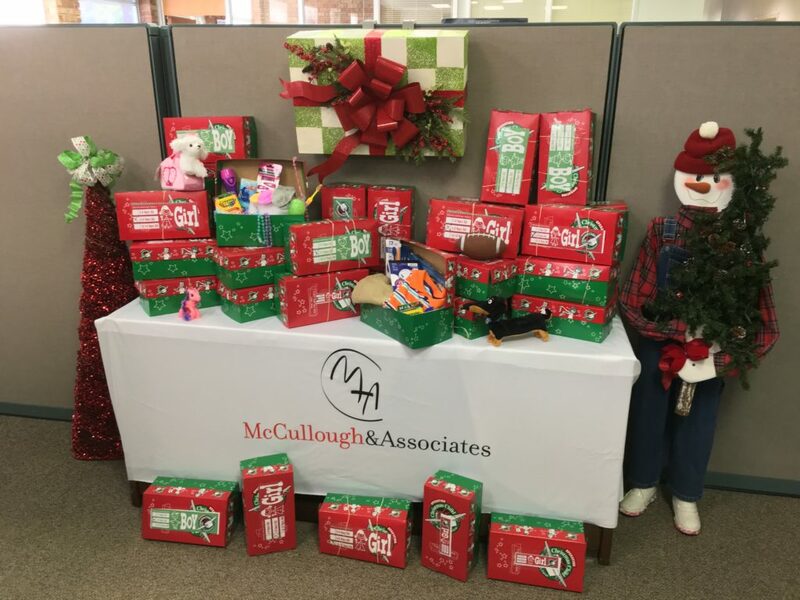 This Christmas season, McCullough & Associates participated in the Samaritan’s Purse Operation Christmas Child program. Since 1993, this program has delivered shoeboxes full of gifts to millions of boys and girls in over 130 countries. Our employees worked toward a goal of completing 30 boxes this year and greatly exceeded that goal by contributing 38 boxes filled with toys, school supplies, hygiene items and accessories to be opened Christmas morning by children around the world. Thank you very much to those from our company who helped to make this Christmas a little brighter for a special boy or girl!